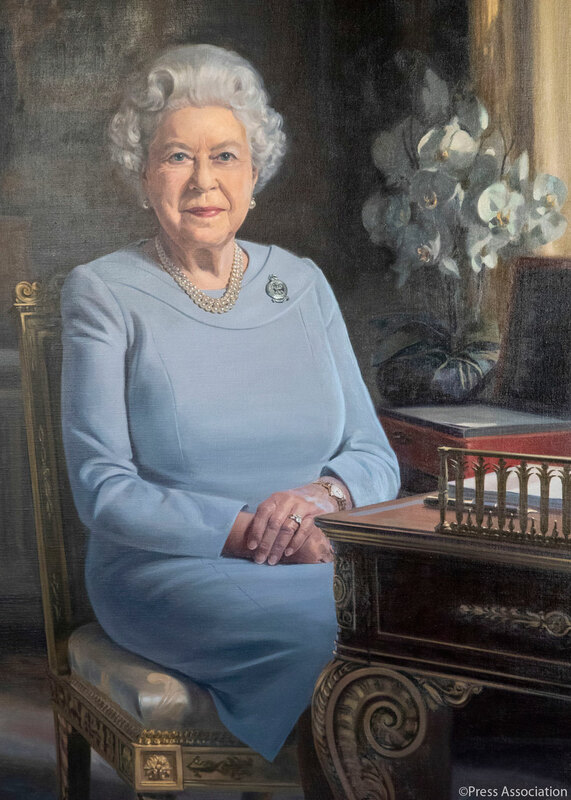 To mark their 75th anniversary, the RAF Regiment commissioned artist Stuart Brown to paint a portrait of Her Majesty The Queen. 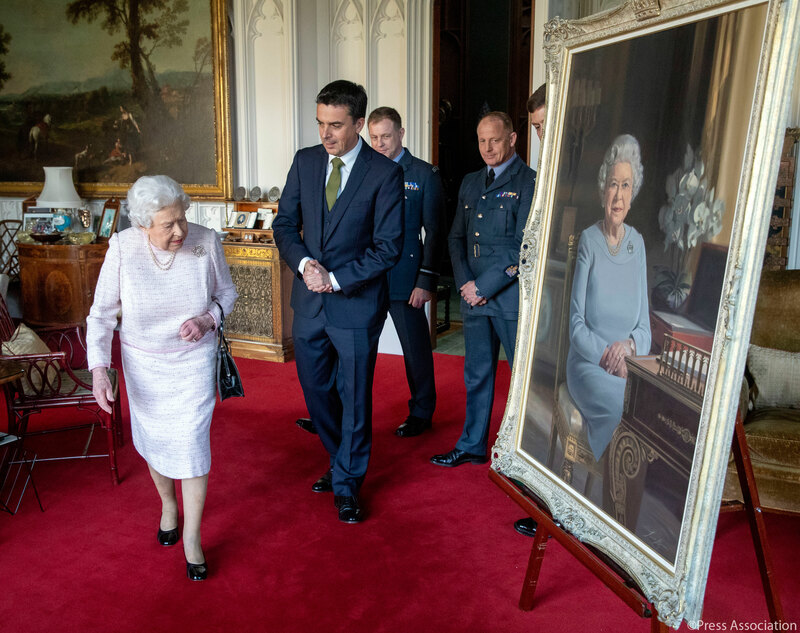 The Queen today viewed a new portrait at Windsor Castle, commissioned by the RAF Regiment to celebrate its 75th anniversary. The RAF Regiment commissioned artist Stuart Brown to paint a portrait of Her Majesty The Queen – Air Commodore in Chief of the RAF Regiment. The painting shows The Queen in the White Drawing Room at Windsor Castle. Her Majesty is wearing a brooch presented to her by the RAF Regiment, which shows the Astral Crown and crossed Lee Enfield rifles.